The last couple of weeks I’ve spent some time dealing with a little adversary. The Cisco CCNP has been a want for a while and I started the quested and my pace did slow off. 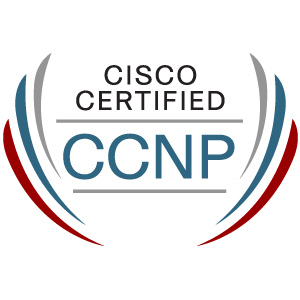 Well finally I made it last Friday and validated two years of hard work by earning my CCNP in Routing and Switching. In September 2011 I sat my first exam. I had been studying for close to 5 months. At this stage I worked in an environment that was basic switching and minimal routing. I was exposed to GNS3 and such tools to aid myself. This was fantastic. I managed to make and reproduce diagrams in the Official Certification Guide and Foundation Learning Guides. These enabled me to learn what was being taught. What I did lack though was the confidence to explore and see how they applied to business solutions. This is one weakness of most certification streams. On a rainy September day back in 2011, I sat down to an exam I thought I was under-prepared for. The exam itself was surprisingly easy in comparison to the material and labs I was working on. I faced a good selection of questions from all topics. A lot focused on OSPF and not a lot else! This was good for me but it felt a little biased. I walked out of that exam having seized a score of 864/1000. Not bad for a young upstart who had a Microsoft background. I’ve never liked switching – this is due to my loathing of STP – and I’ve found the content dry. I think my disposition worked against me in the earlier days. Using the SWITCH books from the OCG and FLG series, I proceeded to study and learn. I only had a production environment to learn on and resources at hand. It found command line were the biggest issues. The first time I failed. I got a 781/1000. Those who have sat this know this is excruciatingly close to a pass. I was annoyed. I blamed external factors initially but upon reflection I saw it as a blessing in disguise. I learnt my weaknesses, I learnt my weak spots. I found out where gaps in my knowledge really were. VACLs and other silly things. Little things. I learnt also to read the words closely. Acronyms or phrases used in a book such as Cisco Press might be named differently in an exam. I fired up the exam engine after spending some time chasing some other certifications (JNCIA-JUNOS, JNCIS-ENT, and moving jobs). I passed. This time I scored a 846 and felt a great sense of relief. This allowed me to affirm my skill set and I attribute my job change to a larger switched environment on this new knowledge. This exam is fantastic. Honestly, I did not study for this. I read the first chapter of the book for the multiple choice theory based answers. The rest I just walked in. At this stage I had a decent set of switching and troubleshooting skills. These skills have allowed me to develop as an engineer. This exam is based on 13 troubleshooting tickets. Each ticket allows you to use a static topology and identify issues as they arise. Pretty awesome if you ask me. A real world simulation. Well needless to say this exam was a blast and I put my skills into full flight. I attempted this exam and scored a 1000/1000. It was a thorough and fair test though my only gripe is the following. You can use your fancy show commands to validate and test (the ones they allow you to use) but you can play spot the difference with show output and figure the issue. Well, I am now a CCNP Routing and Switching. This is something I’ve wanted for some time now. Having this certification means now I can close a chapter of on a certification. Three exams, one certification, and one good sense of feeling inside. Now on the radar, I have planned JNCIS-SEC and VCP5 DCV, and then a chat to the wife before I walk down the path of CCIE for real. I think I can knock off the written by the end of the year! I’d like to extend a thank you to everyone who has supported me or offered help, and to the blog writers and readers in our community. The Network Engineering fraternity is a superb group of people! Congratulations! I’m also working on my CCNP certification. I’ve been reading your past entries and it appears that you are based in Australia. I have to ask, is their a place or site I can purchase Juniper gear for personal use?